I've always found the Audi A3 to be a very nice first step into the German luxury sedan segment. It's not very large, but it's relatively affordable and quite practical as an everyday driver. Audi recently facelifted the car to help keep up with the rapidly changing times, and today, we've got our hands on the diesel variant. 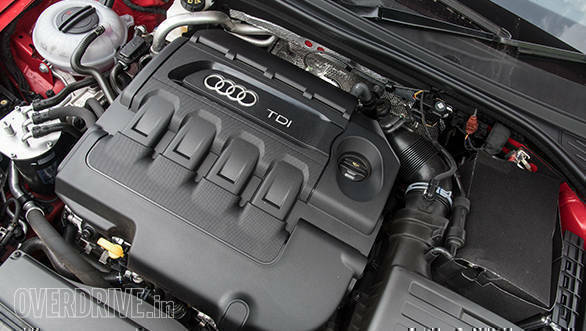 While Audi swapped the 1.8-litre turbo-petrol for a smaller, more frugal 1.4-litre turbo-petrol, they haven't touched the 2.0-litre diesel engine in the 35 TDI variant. In fact, Audi says that there are absolutely no mechanical changes to the engine or gearbox in the new car. So what's changed? Mostly the design. 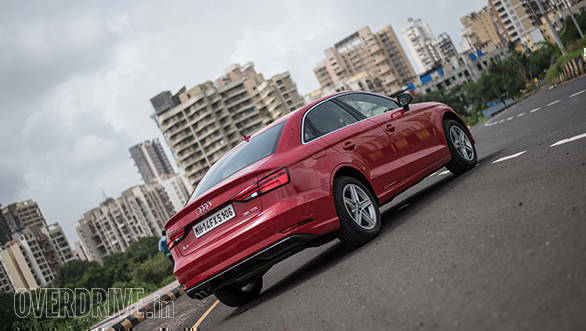 To begin with, the new A3 gets a sleeker, more modern front end thanks to the new boomerang-shaped LED headlights and DRLs, and an updated bumper. It still looks relatively tiny, but I guess that's the look Audi was going for in the first place. The side profile remains the same, except for new 5-spoke wheels, while the rear gets new lights and a slightly reworked bootlid and bumper. The interior gets a very mild update too with an all-black dash from the earlier dual-tone finish, a new steering wheel and redesigned design elements. My biggest concern with the cabin is how little space is available. 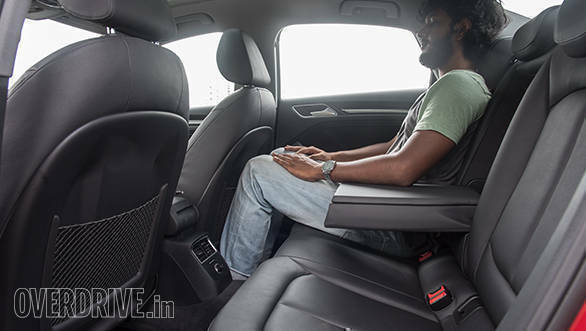 There is enough shoulder room and knee room for two adults at the back, but they'll be complaining about how little headroom there is. It is ideal for two, or maybe three kids though. The 143PS/320Nm 2.0-litre diesel engine has always been quite a delight. It's not very quiet, but it is very smooth and very linear in nature. It's got impressive throttle response and the slick 6-speed DSG is, like with most automatics from the VW group, lovely. It doesn't downshift as aggressively as you would expect, but this engine has a good amount of torque coming in from around 2,000rpm which is usually enough to pull you through quick overtakes in higher gears. If you do get in a sticky situation, tap the paddle shifters and you'll get immediate downshifts. Unlike the new 1.4-litre petrol variant, this one doesn't feel out of breath at high triple digit speeds. It might not get a cylinder deactivation system or an auto start-stop function like the petrol variant, but it still manages to be very efficient delivering 16.75kmpl in the city and 19.02kmpl on the highway. At the same time performance is pretty good too for a car in this class -- 0-100kmph in 9.15secs. Even the ride quality is pretty good in the city. It's just a bit of the firmer side but if you slow down, the suspension does a pretty good job of soaking up all the bumps. The A3 comes with a very sensible set of 205/55 R16 tyres which mean you're not sitting at the edge of your seat, constantly scanning for and avoiding any and every rut. Handling is fairly good too with just the tiniest bit of well-controlled body roll. 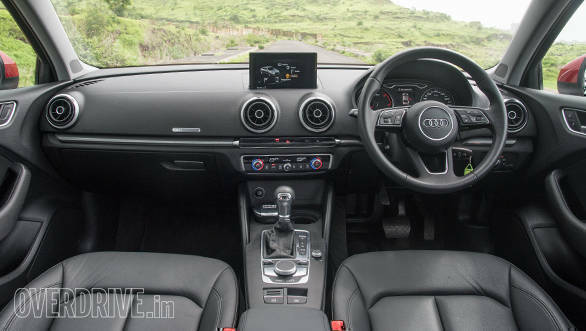 The steering, like in most Audis doesn't offer sufficient feedback, but it is responsive and makes the car quite nimble. 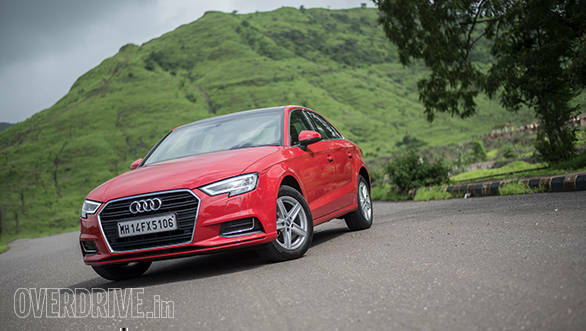 It weighs up quite well at higher speeds and with the suspension offering good high speed stability, you'll really enjoy the A3 on highways. The A3 has always been a very nice car. It was never astounding in any particular aspect, just pretty good at most of them. A jack of most trades and a master of none, if you will. It's just about right for a young nuclear family of four living in a crowded city like Mumbai, who likes to drive out of town for their vacations. The diesel variant is especially ideal for them since it's efficient and offers decent performance. 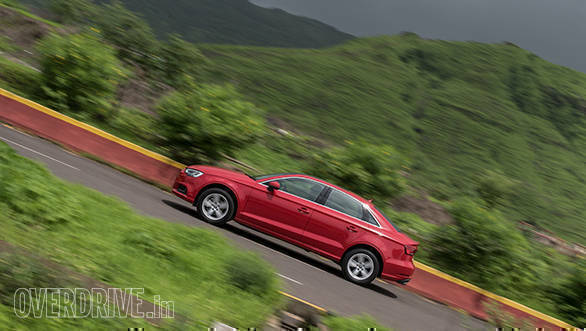 At Rs 43.97 lakh (on-road, Maharashtra) for the top-spec Technology trim, the facelift just makes the whole package that much nicer.